It is hard to imagine what sharks and camels could have in common. However, in an unusual case of convergence, researchers discovered that both species carry a type of antibody that is half the size of the conventional ones. Often referred to as mini-antibodies, these proteins are more soluble, can bind to pathogens more efficiently, and can do their work inside cells. Within our lymphatic system are Y-shaped proteins called antibodies. These antibodies also referred to as immunoglobulins and gamma globulins are the foot soldiers that ward off invading antigens such as bacteria or viruses. Conventional antibodies have two heavy chains, two light chains, and two antigen-binding sites. Upon detection of rogue antigens, antibodies start neutralizing toxins by locking its antigen-binding sites on the outer walls of the toxins. 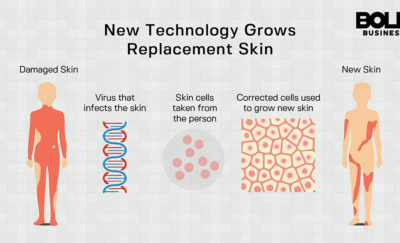 This stops the virus or bacteria from moving around and causing further damage to the cells. Mini-antibodies, in contrast, are devoid of the light chain. They only carry two heavy chains and antigen-binding sites. The significance of this discovery lies in the mini-antibody’s capacity to reach deep into every nook and cranny and bind effectively with its target molecule. Like any other groundbreaking discoveries, this smaller antibody was a serendipitous discovery. Students from the Free University of Brussels in the late 1980s refused to use human blood samples for a lab exam because of the possibility of contracting diseases. They also rejected the idea of killing a lab mouse for this study. Left with few resources, students had to use a stash of frozen dromedary camel serum as an alternative. The study left them with puzzling results. The antibodies that they have extracted were mini-versions of the conventional types. This led the team to look further into the blood samples of animals from the same family such as llamas and camels. And their findings—all had the same miniature antibodies. Popular culture painted sharks in a villainous image. Mention the word shark and one can quickly conjure images of swimmers fighting for their lives against this ferocious predator. However, exciting developments in the field of immunology may change this perception soon. Scientists have identified sharks as a source of nanobodies with great potential in helping fight diseases in humans. Nanobodies are a novel class of therapeutic proteins that contain the structural and functional properties of heavy chain-only or Camelid-type antibody—sans the chains. Apart from their small size, nanobodies are highly soluble, stable, heat-resistant, and easily replicated. Nanobodies have introduced a host of applications that is helping advance the research, diagnostic, and therapeutic segments in the field. Researchers use nanobodies in the study of intracellular protein function because of their small size. Conventional-type antibodies usually disintegrate upon attachment to the outer walls of the cells. Nanobodies can pierce through cell walls while the target cells go about its business. This attribute of the nanobodies is used to manipulate proteins. Cells can be triggered to either deplete or manufacture nanobodies within its walls, depending on the desired outcome. Certain molecules can be very shifty that it is difficult to study its structure. Nanobodies are becoming a valuable tool in cell imaging as it helps in stabilizing molecules. Examination of unstable molecules and processes that were previously difficult to pin down is now possible through nanobodies. Biochemist Hidde Ploegh of the Boston Children’s Hospital shares that the ability of the nanobodies to stabilize proteins is helpful in further understanding their structures. For therapeutic applications, nanobodies are useful in treating blood-clotting diseases. An antibody derived from camels and llamas will soon be available in the market that will help treat a rare clotting disease. Researchers are also looking at treating rheumatoid arthritis, psoriasis, and lupus with the help of these mini-antibodies. Medical researchers are also looking at nanobodies to help treat brain diseases. Blood-brain barrier rebuffs large molecules including conventional antibodies and many drugs. Nanobodies may be able to cross this barrier, allowing the medicine to cross into the brain. 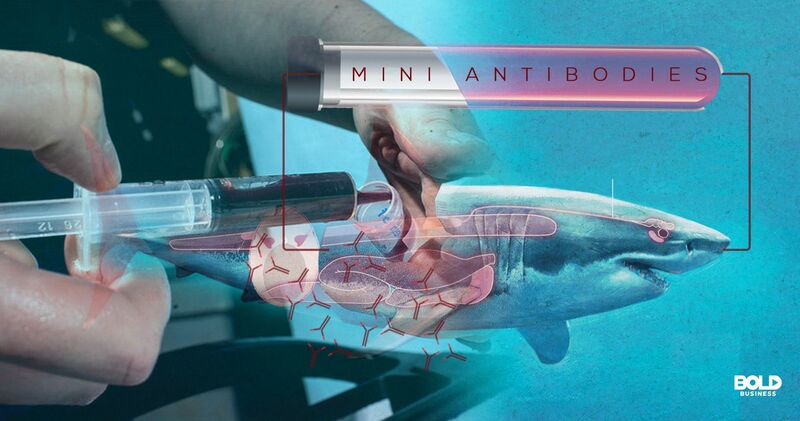 Ossianix, a United Kingdom-based biotech company, has started developing a technology using a shark-derived antibody. Nanobodies loaded with cancer-killing compounds can attach itself to specific cells making cancer treatment less painful and less expensive. These mini-antibodies are also useful in tracking down cancer and tumor cells. Nanobodies with fluorescent tracers can be introduced into the patient’s system, bind tightly to tumor cells, making it easier to identify and extract them. The potential of mini-antibodies and nanobodies in the diagnosis and treatment of human diseases is open for further research. Current trends and directions are quite promising. Most of all, we have fierce sharks and dependable camels as part of our team.